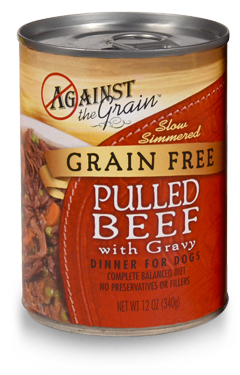 February 14, 2017 — Against the Grain Pet Food is voluntarily recalling one lot of Against the Grain Pulled Beef with Gravy Dinner for Dogs because it may be contaminated with pentobarbital. Oral exposure to pentobarbital can cause side effects such as drowsiness, dizziness, excitement, loss of balance, nausea nystagmus (eyes moving back and forth in a jerky manner), inability to stand and coma. To date, no complaints have been reported to Against the Grain for this single lot number nor any of Against the Grain’s pet foods. The company has verified that the affected lot is no longer on any store shelves. Consumers may return any can with the relevant lot number to their place of purchase and receive a full case of Against the Grain food for the inconvenience. Customers with questions may contact the company at 800-288-6796 between 11 AM and 4 PM Central Time, Monday through Friday. As ever, do share this important alert. Having a head for heights! You voice exactly what went through my mind when I was putting the post together. Indeed, nearly left a closing comment to that effect. Pentobarbital is Nembutal isn’t it? – the euthanasia injection that vets give to dogs. Crazy! Hi, this is pretty scary stuff for our much loved special family members. I will make sure to tell my sister. It could be especially deadly for much older doggies. Thank you, Paul! Well done for spreading the word.